Great forebearers on this richly colored, cascading variety. 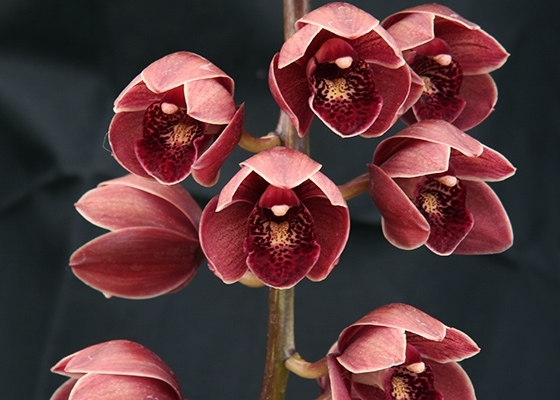 Flowers are cup-shaped, dusky burgundy, with deep burgundy lips. 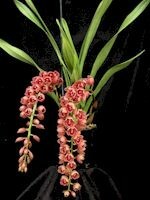 Frequently carris over 30 flowers per spike. 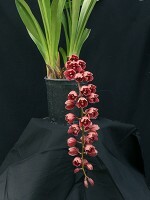 From the cross between Cymbidium Phar Lap and Cymbidium devonianum.Cool growing. March - April blooming.